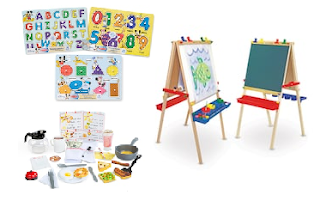 Kohls currently is offering an extra 20% off many Melissa & Doug toys, many of which are already on sale. Prices start at $6.39 for wooden puzzles with free pick up. 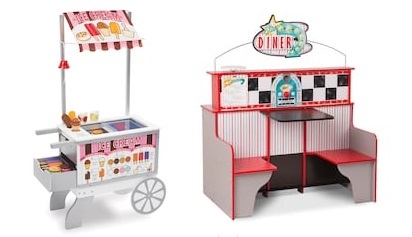 Also included are large pretend play toys such as the ice cream stand and diner booth on sale for $159.99, down from $199.99.